If you ever want to find out how much you don’t know about a subject, try to teach it to someone. Four years of teaching English to adult ESL students has highlighted enormous gaps in my knowledge of the finer points of my native tongue. 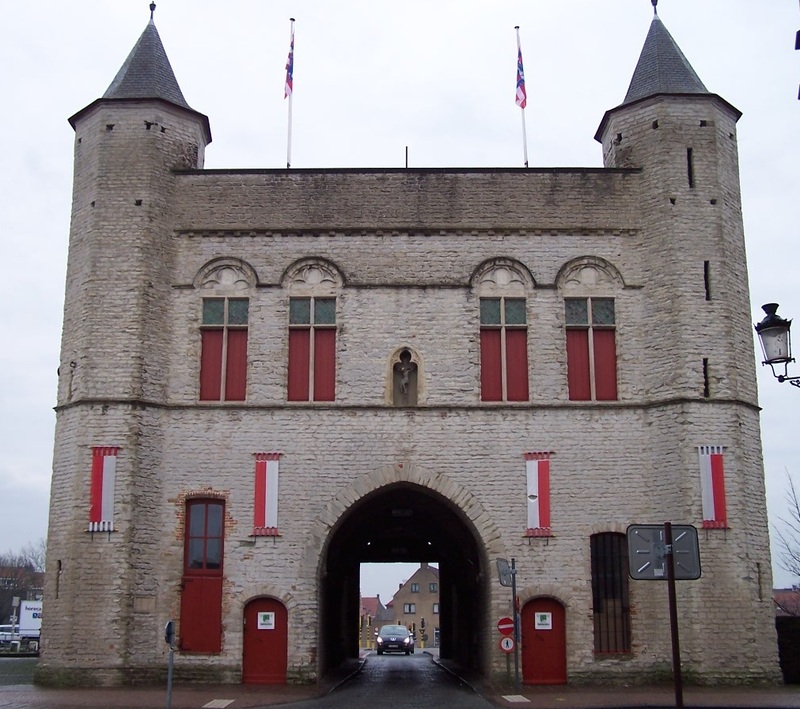 For example, why do we say “an imposing medieval Belgian city gate” rather than “a Belgian medieval city imposing gate?” Turns out, there are some hard and fast rules governing the order of adjectives when more than one is used to modify a noun. I just know one way sounds right and the other doesn’t. I don’t remember anything about any rules from twelve years of English classes in various public schools, so when my students questioned me about adjective order last week I had to come home from the lesson to ask Google. Thank goodness I am living in the internet age, because a lot the answers I need in order to satisfy my students’ curiosity are not to be found in any of my grammar books (or maybe they are, and I just can’t locate them because I don’t know the correct grammatical jargon to use when searching the index). Can you find the gerund in the first paragraph? Don’t know what a gerund is? Don’t feel bad—neither did I until two years ago when my Japanese students were struggling with them. A gerund is a verbid (a non-verbal word derived from a verb)—it looks like a verb with an –ing ending, but acts like a noun in the sentence. See it now? It’s teaching. It seems like I probably should have learned about gerunds when I was diagramming sentences in my high school grammar class, but I swear the term didn’t ring a bell. And as to the rules about when to use a gerund or when to use an infinitive as the object in a sentence…ummmmmm. Let me Google that and get back to you. It’s become abundantly clear that I don’t know very much about English grammar. As a result, I have mailed a request to the Virginia Department of Education for permission to take a linguistics class in the process of renewing my elementary teaching license. While I don’t expect eight year-olds to ask the same probing questions about morphology, syntax, and phonology as my adult students, there were enough English language learners in my previous third grade classes that I think I could find more successful tactics to help them conquer this tricky language if I had a better understanding of its structure myself. For now though, I’m off to ask Google why the “present perfect” is actually used to describe an event in the past. Brain overload, thank you very much! I just pray I don’t sound entirely idiotic when I speak! We sound entirely normal when we speak to other Americans. But it is amazing how badly some English grammar has been corrupted in daily conversation, so that what is technically wrong sounds perfectly normal. In fact, if you say it using correct grammar, that’s when people think you sound idiotic! !